We have been out and about selling our beer for just over a month now, and a question we regularly get asked is “Why did you choose 660ml bottles?”. It wasn’t an easy decision, and it took quite some deliberation, so we thought we would try and explain our thinking here. Since we started up Good Chemistry Brewing, one of our guiding principles has been to always question and justify the decisions we make. Nothing about our brewery, our beers or our processes should be there because it’s the accepted way of doing things. This doesn’t mean doing things differently for the sake of it, but it does mean thinking about what we do and challenging the status quo. This was our starting point for choosing a bottle too. Without question the industry standard sizes for beer are 500ml and 330ml. These are the sizes that most breweries use, but why? The 330ml serving seems to have originally come from the American use of fluid ounces, whereas the 500ml serving has come from the more European use of a half litre. Pubs in the UK are used to serving beer in pints, or half pints, but hardly any bottled beer is sold this way. When we thought about how we like to drink beer at home, the 330ml serving was our preferred size. We felt that this was big enough to be a good size drink, but small enough that it didn’t get warm and flat by the time you got to the end. It also suits drinking out of a curved, stemmed glass, which can enhance the aroma of the beer, improve its head retention and make it look prettier (and if you don’t think that matters you’re just wrong!). However, there were negative points to 330ml bottles. Buying smaller bottles is worse value for the customer as the cost per ml is much higher. Packaging in smaller bottles means more waste, more energy to transport, and so a higher environmental impact. 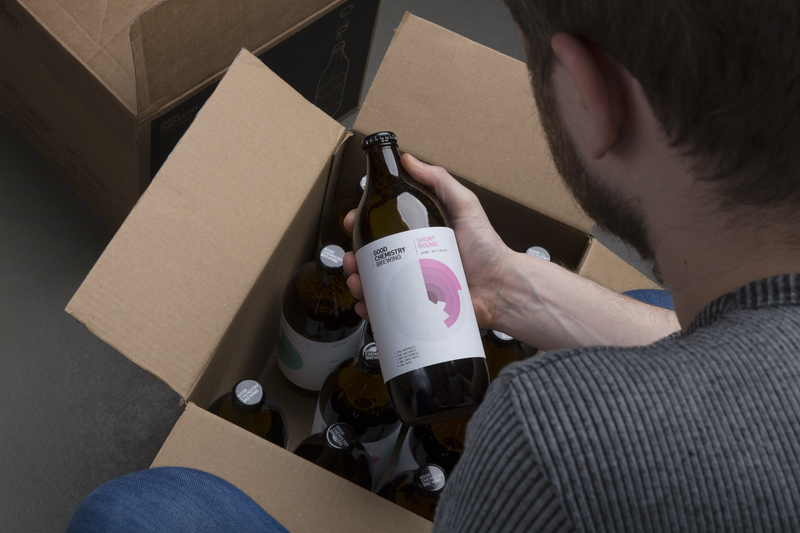 Packaging in smaller bottles can also be worse for the beer as there is a greater proportion of beer in contact with the air in the bottle (we try to ensure that this ‘air’ is mostly carbon dioxide when packaged, but there will always be some oxygen ingress). Smaller bottles also mean more work for us to fill them! So, we decided to look at bigger bottles. 500ml bottles didn’t seem to make any sense to us, other than being the industry standard. 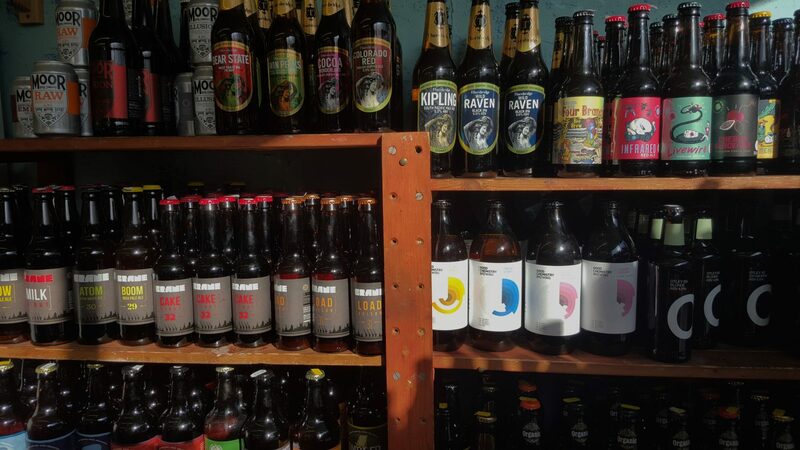 By selling our beer in the same size package as everyone else we make sure that they fit on the same sized shelves. This might seem like a small consideration, but can be crucial to getting a good, visible position on a shelf or in a fridge. Another benefit is that standard sized bottles make it easier for the consumer to compare prices. However, we know that prices vary wildly for craft beer and consumers do not make decisions on price alone. We considered beer quality to be a much more important driver for sales. The fact that 500ml is close to being a pint didn’t sway us either – because it’s not a pint. We considered using pint bottles, 568ml, because this is still the standard unit of beer measurement in the UK. However, drinking beer in pints tends to leave you with warm, flat beer by the time you finish the glass. Yes, the beer could be served in our preferred choice of a 330ml glass, but would then leave less than half a pint remaining in the bottle – an unsatisfactory amount for a second drink. 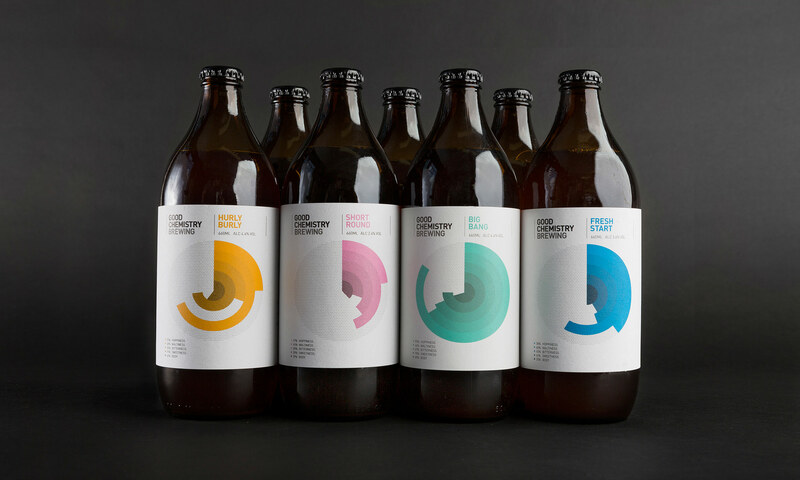 There were also very few options to choose from when it came to bottle shape, the most appropriate being already in use by another local brewery. We didn’t feel that we could use the same distinctive bottle as a neighbouring brewery without treading on their toes – as well as making it harder to create our own distinct presence. So, we looked at 660ml bottles, or ‘bombers’ as the Americans call them. We felt this size was just right for us and met the criteria that we had developed. We also managed to find a shape that we love! It gives you two good sized servings so you can share it, or put it back in the fridge for later. It reduces the amount of oxygen that can get to the beer, so keeping it fresher for longer. And reduces waste. One positive that we didn’t appreciate until we started filling the bottles is just how good they feel to hold. The bottles are the same height as a normal 500ml bottle, but quite a bit fatter. The extra weight makes it really satisfying to pick up and pour! Next time you see one, pick it up and you’ll understand – then go and buy it! We hope you like the bottles, we definitely do! And we hope you like the size too. We know that not all people will agree with our choice, but hopefully you’ll understand the reasons behind it. If you have any comments on what we’ve said here, it’d be great to hear them.